Joining in the fun... - Marco Beverage Systems Ltd.
We thought it wise to post a little more detail on the website structure. 90% of our website is open to the world. It is available in English, Russian and Irish and we are happy to consider requests for new languages (We are in the process of translating it into German). 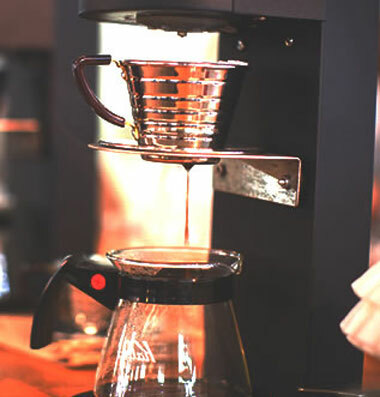 The site itself features up to date water boilers, coffee brewers, grinders, water filters, features and spare parts along with commentary on the coffee world, high res images of our products for download and much much more. There is a password protected element of our site and, despite rumours of it being a portal to a webcam where you can view the warehouse from the end of Raiders of the Lost Ark which doubles as the Marco warehouse, this is to allow our distributors, customers and friends in our industry access to elements that would not be of any use or interest to the wider audience of the world wide web. If you wish to gain access to this element please fill in the full registration form including company and country as requested as we cannot possibly know everyone by first name! This also allows us to make sure that you see the most relevant information to you when you get to the support section. The soldiers guarding our warehouse are just for show. But don’t look directly at them! We’ll be blogging about HOST and our plans soon so keep an eye on the blog.